If you are currently working on the development of a new technology or a new product and are looking specifically for a partner to further your innovation, we can help you to find the right partner in the R&D phase. Our targeted matching strategy with the universities and research institutes in our Region means you can find the right contact. If required, we are also pleased to provide you with support and advice during this cooperation. Within the framework of Science Link (regio.NRW-project), we offer the opportunity to benefit more from the unique regional research infrastructure, including the emerging RWTH Aachen Campus, in cooperation with our regional partners of small and medium-sized enterprises (SMEs) in the Aachen region. AGIT mbH, City of Aachen, StädteRegion Aachen, Aachen University of Applied Sciences and Aachen - Zweckverband. The project is funded under the NRW Objective 2 Program by the European Regional Development Fund (ERDF) 2014-2020. The project is supported by IHK Aachen, RWTH Aachen Campus GmbH and Aachen University of Applied Sciences. Here you can find the current dates. The objective of our cross-border project "EarlyTech" is to initiate, actively promote and improve technology and knowledge transfer and the individual cooperation between universities and SMEs (S2B) in the Euregio, as well as innovative SMEs in the recruitment and retention of specialists, above all from universities. 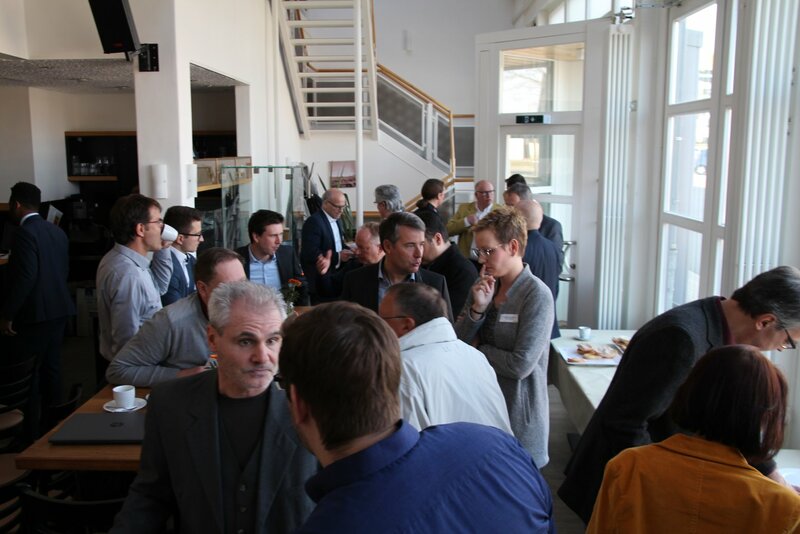 The project is funded by the European Regional Development Fund (ERDF) 2014 - 2020 under the EMR INTERREG VA program and is supported by the district of Düren, WfG for the district of Heinsberg mbH and the WfG Vulkaneifel (Rhineland-Palatinate). The program "Hallo Nachbar!" 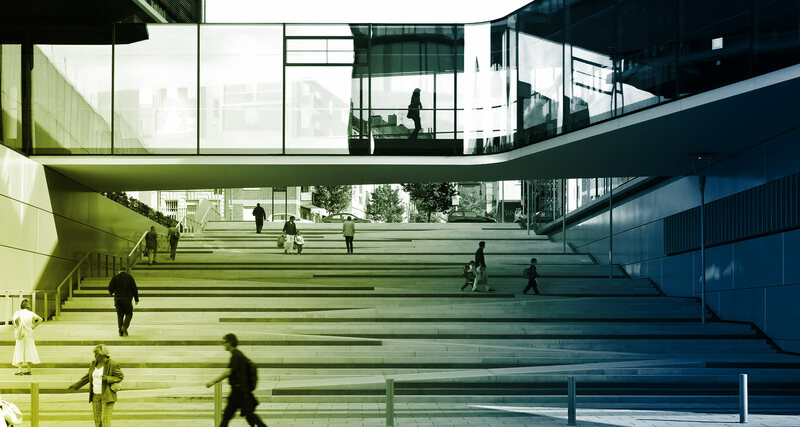 provides exciting insights into companies in the Aachen region. With lectures and production visits, six companies from different sectors will introduce themselves in 2018. The hosts offer a glimpse behind the scenes of their work. "Hallo Nachbar!" is an opportunity for industry dialogue, which contributes to the competitiveness and future viability of regional industry. AGIT mbH, Aachen Chamber of Commerce Aachen (IHK Aachen), Region Aachen - Zweckverband, Vereinigte Unternehmerverbände Aachen (VUV), DGB Region Aachen, Bundesagentur für Arbeit, StädteRegion Aachen, City of Aachen and the districts of Heinsberg, Düren and Euskirchen. In order to expand the innovation-oriented cooperation among technology-oriented companies in the border-triangle, we stimulate cross-border cooperation in the scope of our "Innovation2Market" project, in particular in the form of SME-driven R & D consortia. This promotion of innovation is directed to the market with a focus on new B2B relationships during the pre-market phase, both in the field of industrial research and experimental development (prototyping). Networking and partnering activities across borders - Discover new partnership opportunities! The project is supported by the European Regional Development Fund (ERDF) 2014-2020 under the EMR INTERREG VA program and is supported by the city council Aachen.